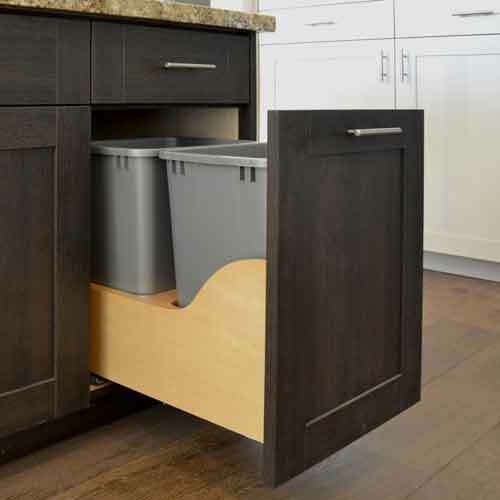 50 Quart REV-A-SHELF Double Waste Bin for 18" Cabinets. 24 1/4" height for full door (no drawer) cabinet. Dual 35 quart waste bins. Blum undermount soft close drawer glides. Solid wood | Natural finish.